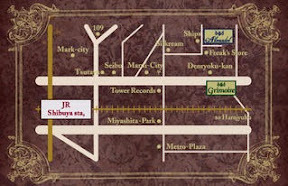 Strange Girl: New Grimoire Shop! Exciting news! 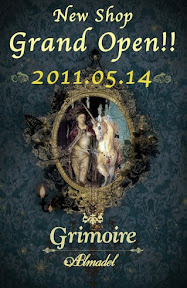 Announced today Grimoire's official blog, a second Grimoire location "Grimoire Almadel" will be opening May 14th! Oh God. I was searching for dolly kei-inspired sets at Polyvore, and then I realized most of them (the best ones, also) were yours. I grabbed the link to your blog, which is awesome. Keep going, I love every single part of it. Hello! Thank-you so much! I am always so glad to hear that anyone enjoys my blog :) I need to start making more Polyvore coords, I miss doing it since my computer died.